Trademark Agency Rejects "Redskins" Application As "Derogatory"
Late last month, the U.S. Patent and Trademark Office denied an application to register a trademark for "Redskins Hog Rinds," a product wholly unrelated to the Washington football team. The USPTO's reasoning for refusing the trademark is simple: It's offensive. Registration is refused because the applied-for mark REDSKINS HOG RINDS consists of or includes matter which may disparage or bring into contempt or disrepute persons, institutions, beliefs, or national symbols. Given that "REDSKINS" in the mark is a derogatory slang term that refers to, and is considered offensive by, American Indians, registration of the applied-for mark must be refused under Section 2(a) of the Trademark Act. The letter provides five definitions for "Redskins," and all are negative, ranging from "taboo" to "disparaging" to "offensive." What does a decision on pork rinds mean for the NFL team, whose name is already a registered trademark and thus does not have to go through the same review process? Maybe nothing, maybe everything. A lawsuit brought by a group of Native Americans is currently pending before the Trademark Trial and Appeal Board. If that board rules via the same rationale as that was used against "Redskins Hog Rinds," the Redskins wouldn't have to stop using the name—But they would lose their trademark status, meaning any old joe could put "Redskins" on a t-shirt and sell it. 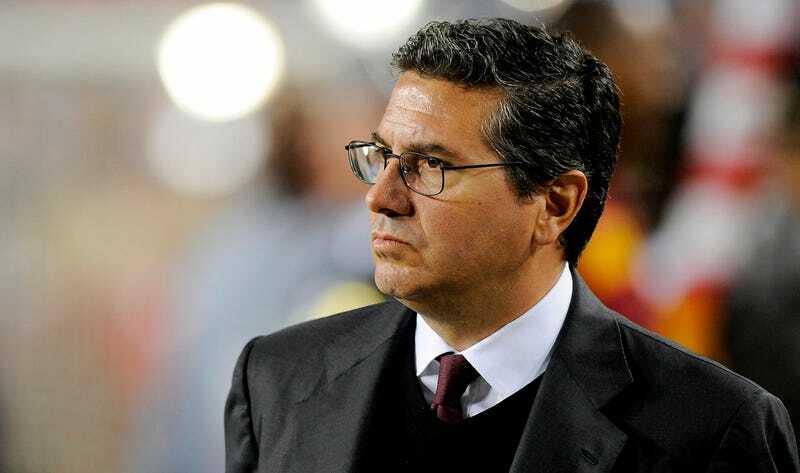 That potential loss of income would effectively force Dan Snyder to pick a new, trademarkable name.